Soft and sweet and plenty of pink! 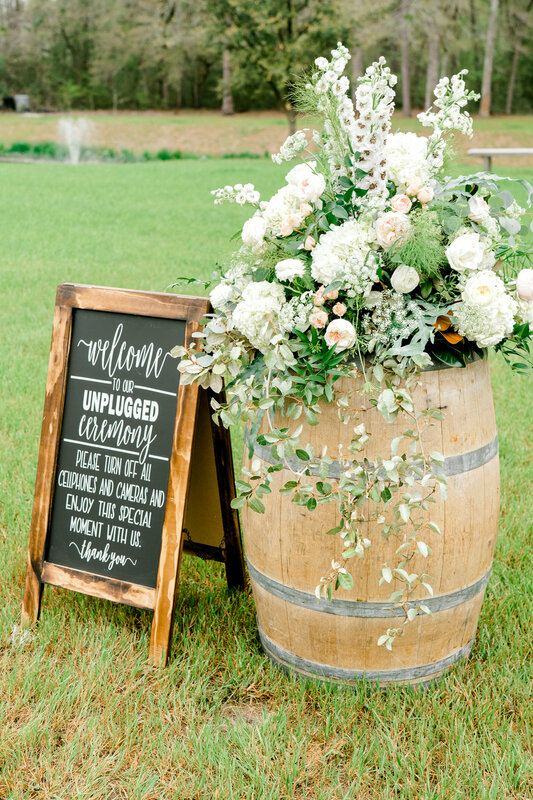 If you're looking for inspiration for a romantic Lowcountry celebration filled with jaw-dropping florals, rustic charm, and pops of color, you're going to want to pin this one. 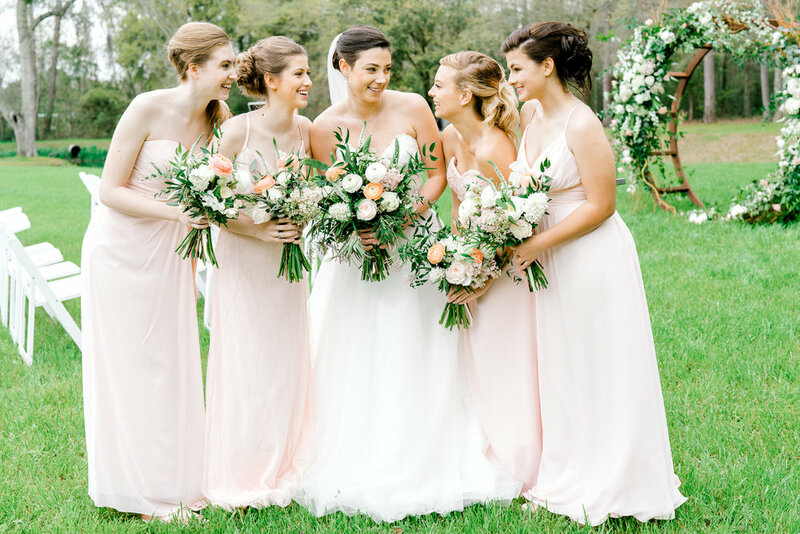 Emma Lili Photography and her team of South Carolina wedding vendors pulled out all of the stops for this two part secret garden wedding styled shoot in Ravenel. 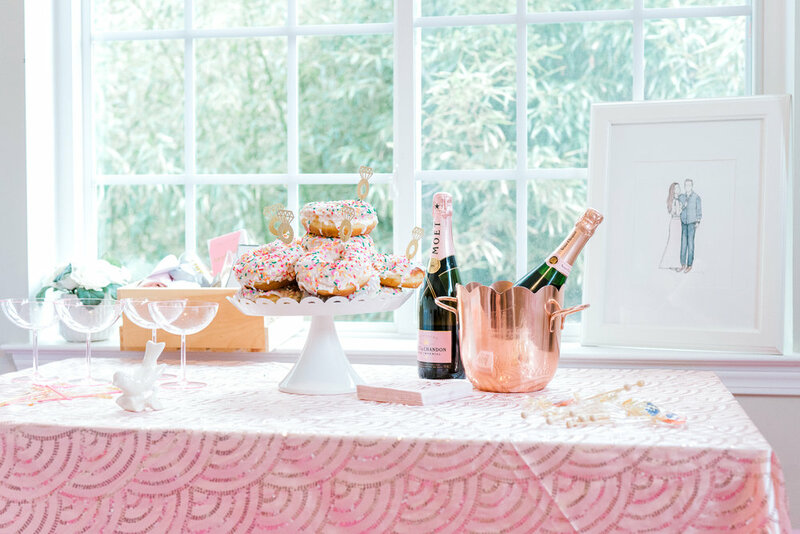 The result showcases the perfect bridal suite for morning-of fun, complete with custom coffee mugs, sprinkle doughnuts and plenty of sparkle. 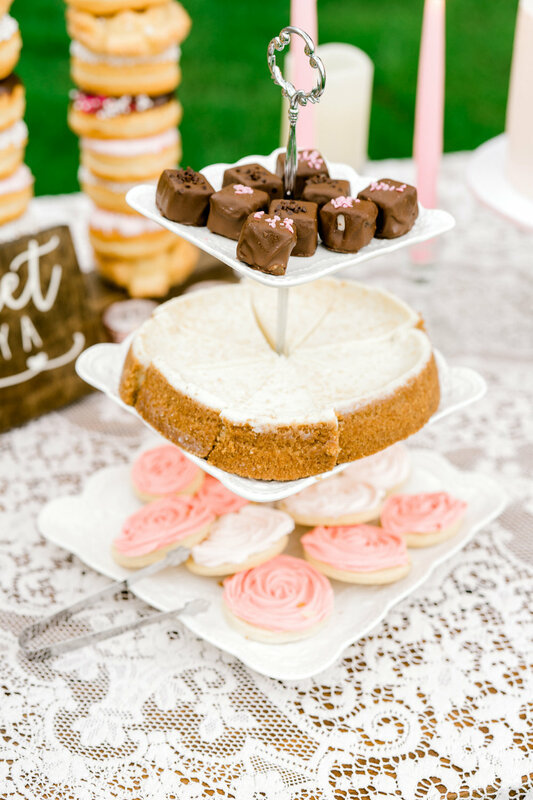 The second half of the shoot brings even more detail with a full bridal party, a delicately rustic seating area, the most incredible floral backdrop we've ever seen, and trays of scrumptious treats. Check out the full list of vendors at the end of the post, and let us know what your favorite detail from this shoot is in the comments! Wooden doughnut holder: Rustic Wishes Co.